Kristy: Hello, Fiona. Thanks for having me. Hello, readers! Kristy: I’m Kristy Jo Volchko, author of Mall Hair Maladies. Kristy: I’ve worn many, many hats through the years, and spent my life working hard, playing hard, and embracing each experience and phase with gratitude. I can’t wait to see what happens next! 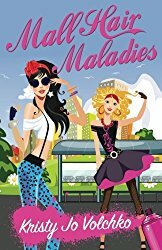 Kristy: My fifth book, Mall Hair Maladies, has just been released. Yay! It’s a Young Adult/Tween comedy about two best friends (partners in crime) who will stop at nothing to see their favorite pop queen live in concert. Set in 1985, the vibe in this book is tripendicular to the max. Kristy: I can’t remember a time when I wasn’t doing it in some fashion. Kristy: Always. But seeing one of my poems published in an anthology (late 90s?) was the first time it felt like more than a dream. It became tangible. Kristy: Judy Blume books inspired me to write as a child. As an adult, inspiration is at every turn. I remember opening a box in my closet filled to the brim with song lyrics, poems, and stories and thinking, I’ve got to get a bigger box. Or better yet, maybe I should get around to publishing some of this. Kristy: The title for Mall Hair Maladies was inspired by an overly teased, crimped out hair style popular throughout the 80s. I’d been sifting through old cheerleading photos and laughing at my big, hair sprayed head when the title popped into my brain. I spent the next few months writing an entire book around that title. Kristy: I don’t have a specific style. Each project is unique and seems to have a life of its own. I suppose I write intuitively. 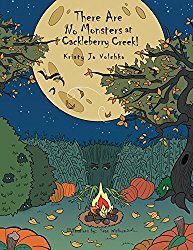 Kristy: From a generational standpoint, the book is quite realistic. We didn’t have CDs, cell phones, email, texting, Google, or Uber back then. Having to look things up in the dictionary, wait out busy signals, handwrite letters, record songs on cassette players (sans the intro), and take the bus everywhere, is something many 80s kids can relate to. I can certainly identify with the wild hair, the 80s fashion, slang, and Randi and Tanya’s obsession with all things Madonna. Kristy: I’m annoyingly specific to the detail when it comes to my covers, and I’ve been blessed with designers that implement that vision. 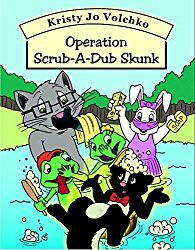 Sean Winburn illustrated three books for the Cackleberry Creek series, Dwayne Esper illustrated Frogs Can Fly, and Steven Novak was the digital artist for Mall Hair Maladies. 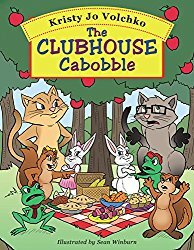 Kristy: I want young readers to never give up on their dreams, stay determined through life’s struggles and challenges, and most of all, believe in friendship, the power of love, and themselves. Kristy: I make time to read, review, and support as many new authors as I can. Stephen King will always be my favorite for a million reasons, but truthfully, no other author whets my literary appetite the way he does. Kristy: There will always be things I’d like to add or delete. It’s best I move on and not look back. Kristy: Yes, to stop being so hard on myself. I’m not perfect, nor will I ever be, and that’s okay. I accept that I’m grammatically challenged. Kristy: That’s a toughie. I’m not sure about the girls, but I’d love to see Meryl Streep as the mean grandmother, Tony Danza, as Randi’s father, and Drew Barrymore would be perfect as Tanya’s mother. Kristy: I’m sincerely grateful for every email, letter, message, tweet, and feedback you generously take the time to share. You inspire me every day, and I truly appreciate your support. Most of all, thank you for reading! Kristy: Call Me by Your Name by Andre Aciman. Kristy: I’m pretty sure it was a boxed set of fairytales. I remember the books were oddly shaped—tall, thin, rectangular. And the magic beans from Jack and the Beanstalk looked like misshapen, alien jellybeans. It’s kind of funny what sticks when you’re three. Kristy: Laughing is my favorite thing to do, and comedy is constant in my daily life. As for crying, a touching movie, book, or love story can bring me to tears. I’ve been known to sob in the cinema parking lot after seeing Jesus crucified or spying an injured critter on the road. I physically cannot bear to see someone or something suffer. I worked in hospice for about four years and it was quite difficult to leave behind the profound sorrow at the end of my shift. Kristy: I’d love to meet Edgar Cayce. I think he was extraordinary. 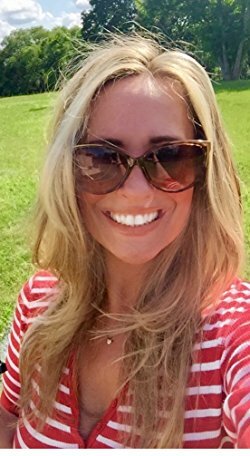 Kristy: I do a lot of reading, research, crafts, watching movies, scoping out live performances, festivals, fairs, and bookstores. I enjoy traveling, playing games, long car rides with the windows down and the music blasting, exploring, photography, hiking, yoga . . . I’m never bored. And I wouldn’t mind learning how to use a metal detector this summer. Kristy: There are so many! I’m a huge movie buff so I enjoy classic films, 80s flicks, new releases. I’ll put on Ancient Aliens, World News, Family Guy, Survivor, SNL, Game of Thrones, Real Housewives, Jeopardy, Alice or Mama’s Family reruns, Match Game . . . I’m down with whatever. Kristy: Talk people’s ears off worse than I already do, and switch creative outlets. Kristy: My ashes will be sprinkled in the roots of a pear tree so . . .
Kristy: I certainly do, so stop on by! Thanks, Armen! And yes, ‘yinz’ would be the perfect word. 🙂 🙂 Have an awesome week ahead!